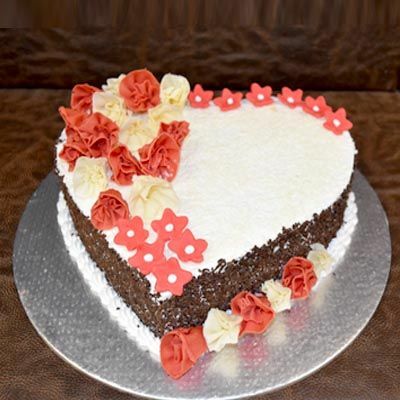 Delight Heart cake. Birthday celebration can never be completed without cutting a birthday cake on your special occasion. Birthday cake plays one of the most important part of celebretion in anyone's life. For Message on the Cake please specify a noted in “Special Instructions” message box during the checkout. Same Day and Midnight Delivery Service available.